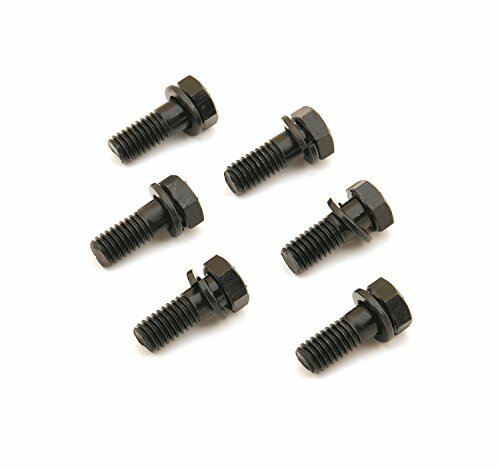 Mr.Gasket Pressure Plate Bolts ensure safety and strength with ultra-seal bolts for your pressure plate. They are heat-treated to grade 8 specifications for strength and black plated to resist rust and corrosion. These Borg-Bec/Diaphragm style bolts have the diameter of 3/8"-16 x 1" and are sold six per set. 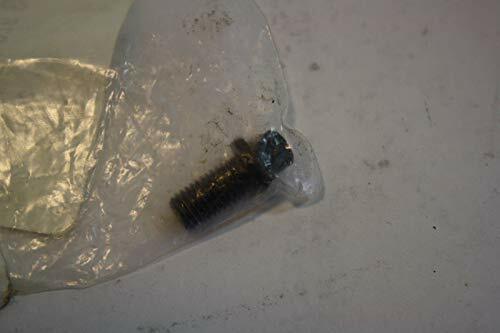 These fasteners play a key role in both the performance and safety of a vehicle. The kit is complete with lock washers. 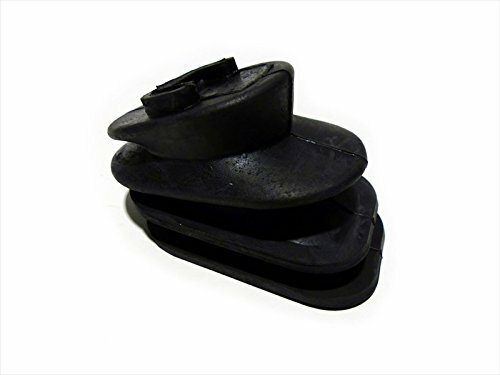 The DFX line is the latest series of performance clutches from Centerforce. Centerforce is announcing DFX as the competition-proven clutch package for select import and domestic applications. This new DFX series is engineered for competition standards of quality and craftsmanship. 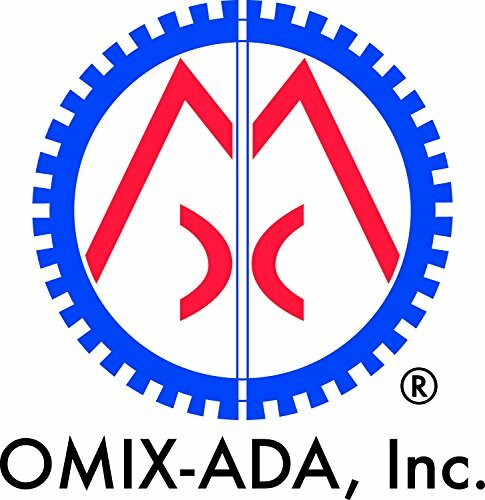 The DFX series is aimed at high-end applications that continually demand increased integrity and holding-capacity. DFX scores big, not only with holding-capacity and strength, but also provides some of the best drivability from a race-inspired clutch. DFX retains an easy pedal effort, thanks to Centerforce s patented ball bearing actuated diaphragm, for smooth engagements without detriment to the vehicle s release components. The Centerforce DFX performance clutch system is SFI approved for competition with Nodular Iron pressure plate rings and reinforcements designed to help prevent drive strap breakage and safety. Centerforce offers multi-level product lines allowing customers to choose a performance clutch that matches their application and driving style. Centerforce clutch assemblies are designed as an improved OE-style, direct bolt-in replacement performance clutch. The unique Centerforce design allows for easy pedal effort and everyday drivability, while offering increased holding-capacity for maximum performance. Centerforce engineers evaluate each assembly and apply our patented processes to increase the clutches holding-capacity and performance. Application: For Volkswagen Type 1 Bug And Ghia 1971 Thru 1979, Type 2 Bus 1971 Thru 1979, All Dune Buggies And Sandrails Using Vw 12 Volt Transmissions With Late Style Throw Out Shaft & Bearing. The Centerforce Dual-Friction pressure plates feature our patented processes to provide a performance clutch that offers exceptional street characteristics, while offering outstanding holding-capacity and durability. The Dual-Friction disc has a full facing on the pressure plate side for drivability and longevity, while a carbon composite puc style facing is used on the flywheel side for a positive engagement and increased holding-capacity. Dual Friction is the ultimate in street or strip holding power and performance without sacrificing pedal effort and driver control. 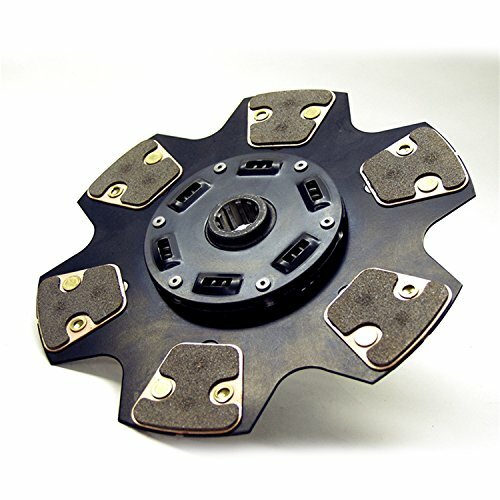 The patented Centerforce Dual-Friction disc system distributes pressure plate clamping force evenly over a 360-degree friction-facing on one side of the clutch disc, while the opposing side uses a segmented friction-facing to concentrate clamping pressure and maximize clutch holding-capacity. This combination of dual configured friction-facings, coupled with our performance pressure plate, creates the ultimate clutch system that is engineered for smooth drivability, maximum longevity and awesome grip. 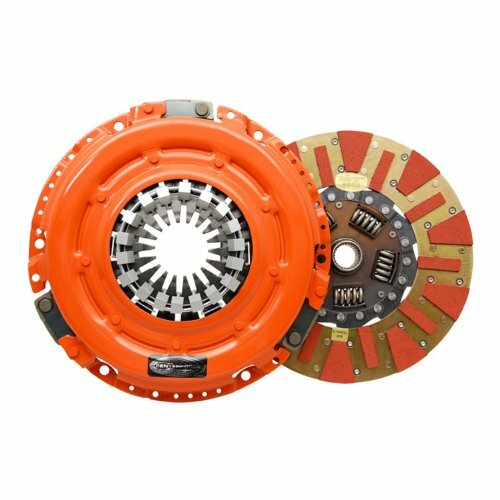 Centerforce offers multi-level product lines allowing customers to choose a performance clutch that matches their application and driving style. 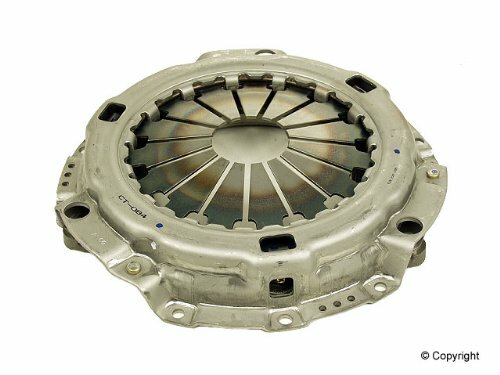 Centerforce clutch assemblies are designed as an improved OE-style, direct bolt-in replacement performance clutch. 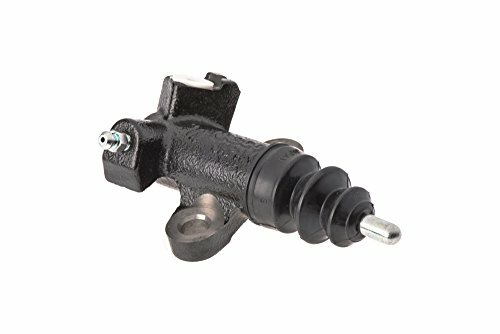 The unique Centerforce design allows for easy pedal effort and everyday drivability, while offering increased holding-capacity for maximum performance. Centerforce engineers evaluate each assembly and apply our patented processes to increase the clutches holding-capacity and performance. 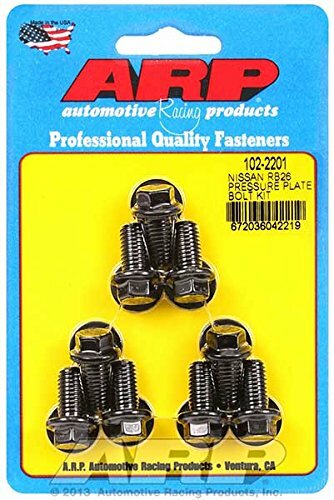 ARP Clutch Cover/ Pressure Plate Bolts The importance of pressure plate bolts in a racing or hi-performance street application cannot be emphasized nearly enough. 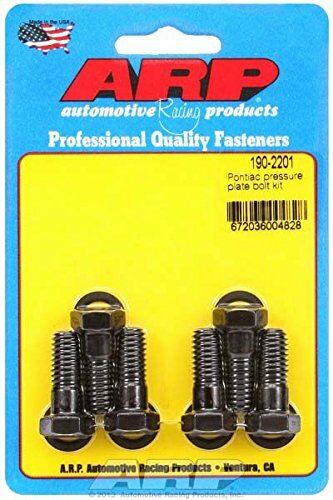 These fasteners play a key role in both the performance and safety of a vehicle. 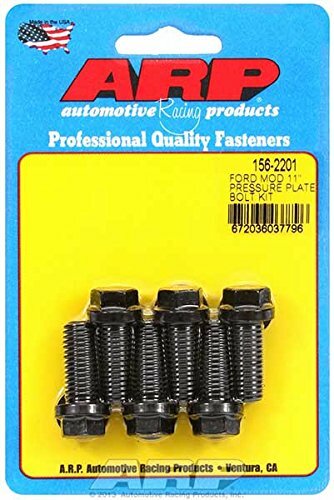 Because of this, ARP has developed special pressure plate bolts that are application specific to ensure the optimum grip length. 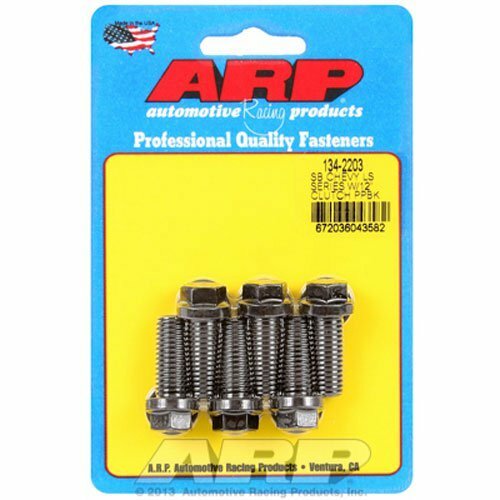 ARP offers High Performance Series bolts that are made from a premium grade chrome moly and hardened to a nominal tensile strength of 180,000 psi. The Pro Series bolts, originally developed for NASCAR Winston Cup competition, are stronger and rated at 200,000 psi. Both models of ARP Clutch Cover/ Pressure Plate Bolts feature a large diameter, low-profile design. Complete with washers. The Centerforce II system utilizes a full facing-disc with premium friction materials and a pressure plate with patented centrifugal weights. Furthermore, static clamp load is increased via our patented machining processes; this combination allows superb holding power and maximum clutch life, making this stage ideal for selected street or strip, off-road and towing applications. Centerforce offers multi-level product lines allowing customers to choose a performance clutch that matches their application and driving style. 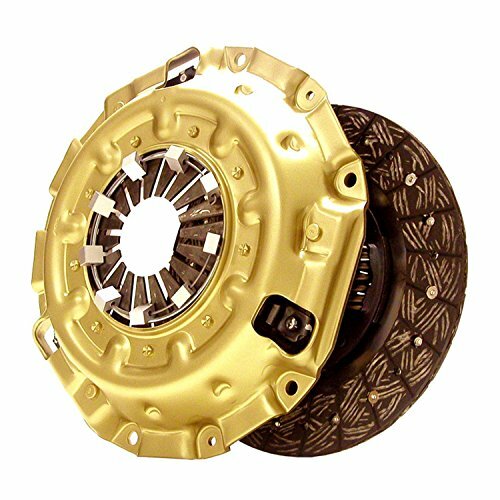 Centerforce clutch assemblies are designed as an improved OE-style, direct bolt-in replacement performance clutch. 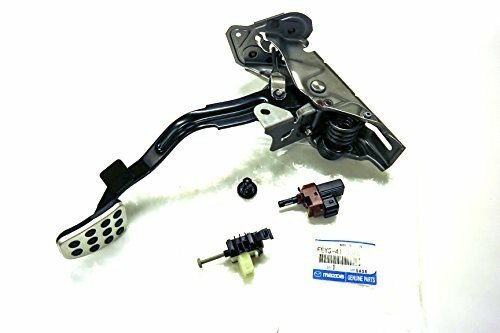 The unique Centerforce design allows for easy pedal effort and everyday drivability, while offering increased holding-capacity for maximum performance. Centerforce engineers evaluate each assembly and apply our patented processes to increase the clutches holding-capacity and performance. 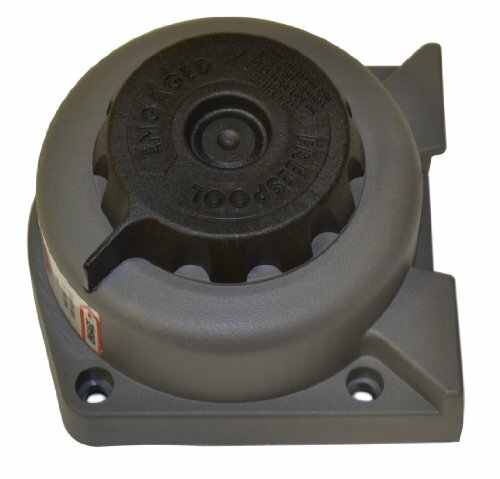 The Centerforce II system utilizes a full facing-disc with premium friction materials and a pressure plate with patented centrifugal weights (where applicable). Furthermore, static clamp load is increased via our patented machining processes; this combination allows superb holding power and maximum clutch life, making this stage ideal for selected street/strip, off-road and towing applications. 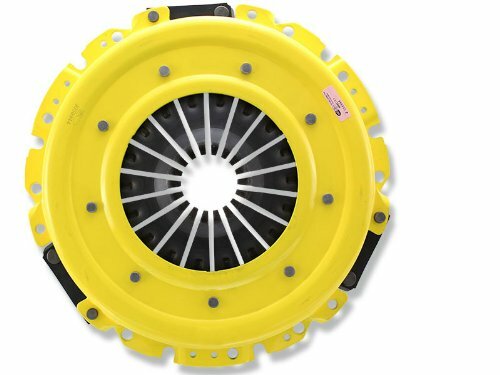 Centerforce offers multi-level product lines allowing customers to choose a performance clutch that matches their application and driving style. Centerforce clutch assemblies are designed as an improved OE-style, direct bolt-in replacement performance clutch. The unique Centerforce design allows for easy pedal effort and everyday drivability, while offering increased holding-capacity for maximum performance. Centerforce engineers evaluate each assembly and apply our patented processes to increase the clutches holding-capacity and performance. The Centerforce I is designed as a high-quality entry-level performance clutch for those in need of a superior stock replacement. 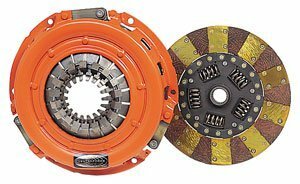 Using the patented Centerforce centrifugal weights and premium friction materials, the Centerforce Stage 1 clutch system is perfect for applications with stock engines or mild power increases from minor bolt-on modifications. Centerforce offers multi-level product lines allowing customers to choose a performance clutch that matches their application and driving style. 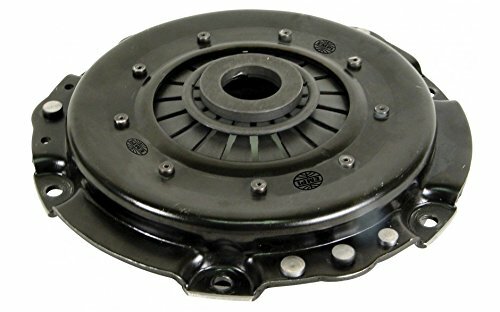 Centerforce clutch assemblies are designed as an improved OE-style, direct bolt-in replacement performance clutch. The unique Centerforce design allows for easy pedal effort and everyday drivability, while offering increased holding-capacity for maximum performance. Centerforce engineers evaluate each assembly and apply our patented processes to increase the clutches holding-capacity and performance. The WARN Endhouse Clutch Assembly includes a cam follower and thrust plate and is for the A2000, A2500 and the 2.5ci ATV winches. 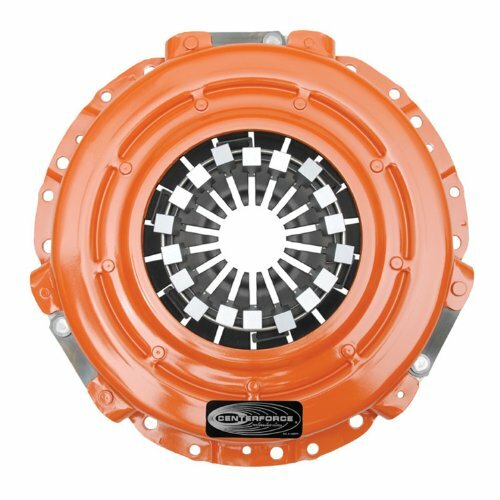 The DFX line is the latest series of performance clutches from Centerforce. Centerforce is announcing DFX as the competition-proven clutch package for select import and domestic applications. This new DFX series is engineered for competition standards of quality and craftsmanship. The DFX series is aimed at high-end applications that continually demand increased integrity and holding-capacity. 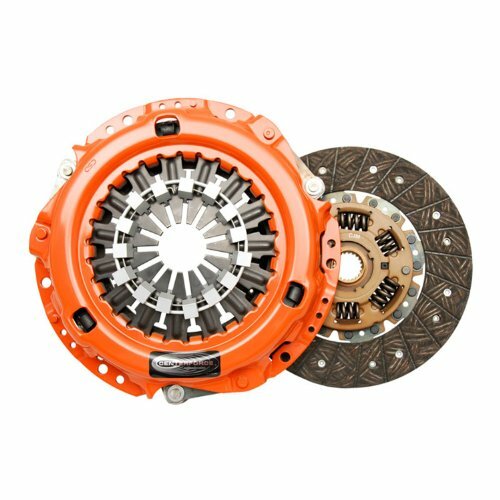 DFX scores big, not only with holding-capacity and strength, but also provides some of the best drivability from a race-inspired clutch. DFX retains an easy pedal effort, thanks to Centerforce's patented ball bearing actuated diaphragm, for smooth engagements without detriment to the vehicle's release components. The Centerforce DFX performance clutch system is SFI approved for competition with nodular iron pressure plate rings and reinforcements designed to help prevent drive strap breakage and safety. Centerforce offers multi-level product lines allowing customers to choose a performance clutch that matches their application and driving style. Centerforce clutch assemblies are designed as an improved OE-style, direct bolt-in replacement performance clutch. The unique Centerforce design allows for easy pedal effort and everyday drivability, while offering increased holding-capacity for maximum performance. Centerforce engineers evaluate each assembly and apply patented processes to increase the clutches holding-capacity and performance. The Centerforce Dual-Friction pressure plates feature our patented processes to provide a performance clutch that offers exceptional street characteristics, while offering outstanding holding-capacity and durability. 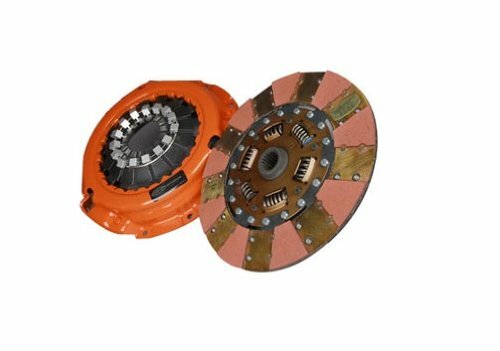 The Dual-Friction disc has a full facing on the pressure plate side for drivability and longevity, while a carbon composite puc style (segmented) facing is used on the flywheel side for a positive engagement and increased holding-capacity. Dual Friction is the ultimate in street/strip holding power and performance without sacrificing pedal effort and driver control. The patented Centerforce Dual-Friction disc system distributes pressure plate clamping force evenly over a 360-degree friction-facing on one side of the clutch disc, while the opposing side uses a segmented friction-facing to concentrate clamping pressure and maximize clutch holding-capacity. This combination of dual configured friction-facings, coupled with our performance pressure plate, creates the ultimate clutch system that is engineered for smooth drivability, maximum longevity and awesome grip! Centerforce offers multi-level product lines allowing customers to choose a performance clutch that matches their application and driving style. 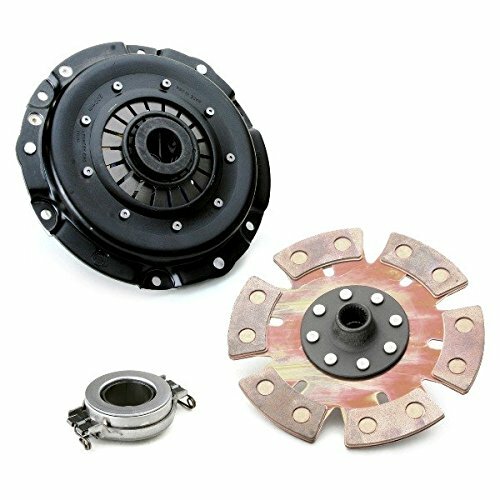 Centerforce clutch assemblies are designed as an improved OE-style, direct bolt-in replacement performance clutch. The unique Centerforce design allows for easy pedal effort and everyday drivability, while offering increased holding-capacity for maximum performance. Centerforce engineers evaluate each assembly and apply our patented processes to increase the clutches holding-capacity and performance.